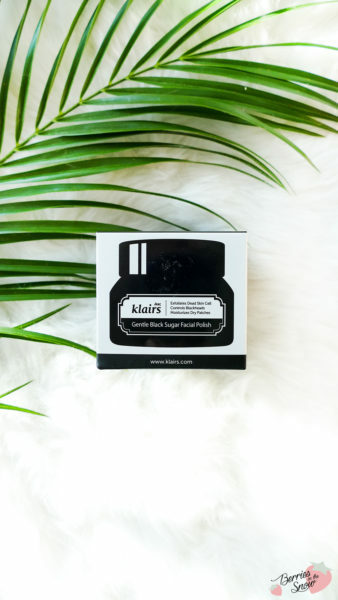 The Klairs Gentle Black Sugar Facial Polish is a peeling mask containing sugar to make your skin smooth and supple. 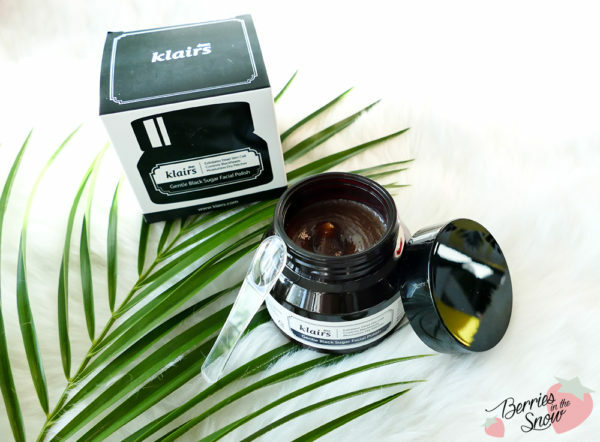 The black sugar also helps to reduce the appearance of blackheads and yet the mask doesn’t make your skin feel dry afterwards. In the past my first remark about the product was the small size of the jar. In the past the jar only contained 60 g and was quite expensive regarding the small volume. Now, they changed the size to 110 g, which is almost double in size. Definitely love this renewal already! Another change for me was that they included a spatula! 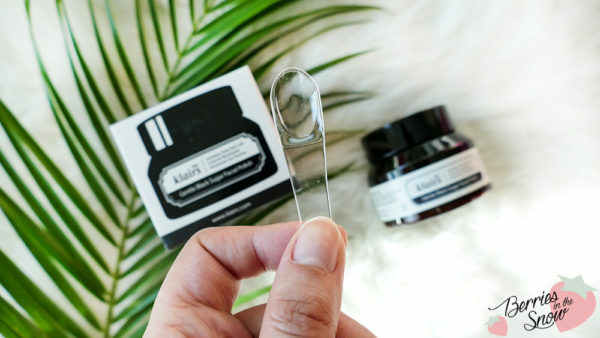 The old version didn’t include anything like that, but now you can use the plastic spoon to keep your jar as clean as possible. Luckily, the texture of the product didn’t change at all! 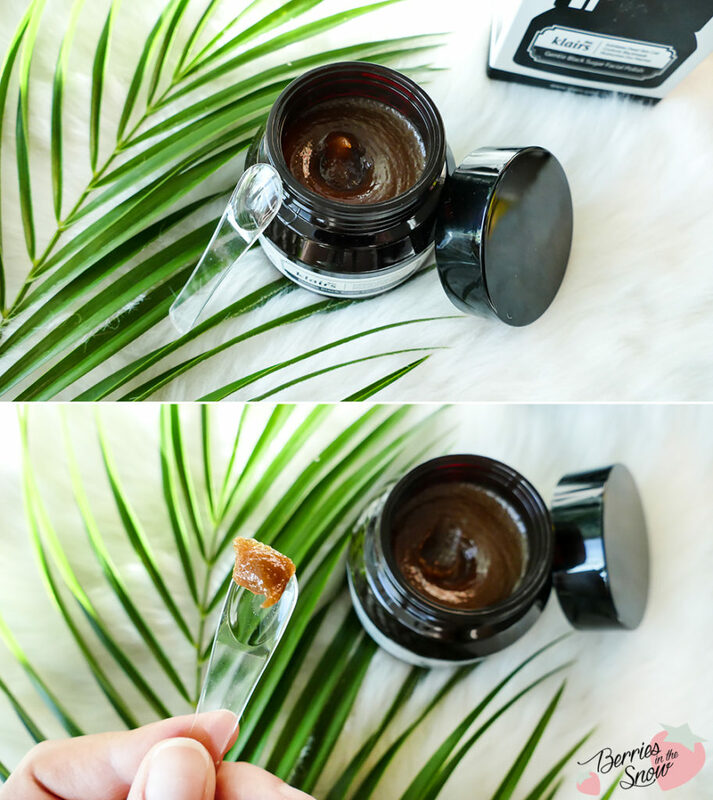 It still has the same texture as before: a thick, brown and grainy paste that spreads smoothly. It reminds a bit of butter and you can definitely feel that it also contains shea butter after all. The sugar particles are coarse enough to give your skin a mechanical exfoliation. When hearing mechanical exfoliation people with sensitive skintypes run away as quickly as they can. But you shouldn’t! This is where the cleansing oil comes in handy: if you want the texture to me more gentle just add a pump or two of cleansing oil (or water). This will make the sugar particles melt a bit and makes the polish so much more gentle. 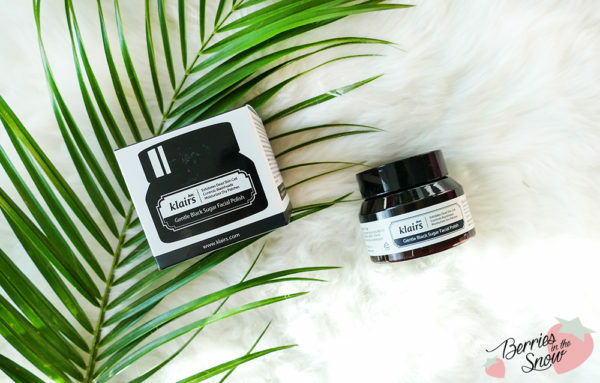 I remember I loved using the combination in winter and it helped me to get rid of flaky skin while keeping my skin nourished due to the oils in both products. 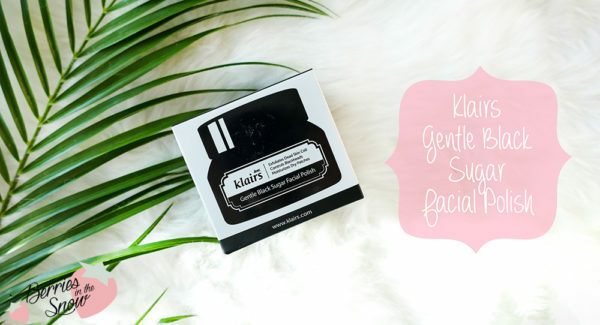 I really love the fact that Klairs really listened to the critics of their products and made all these changes. These were also part of my remarks in the past: the volume and spatula. 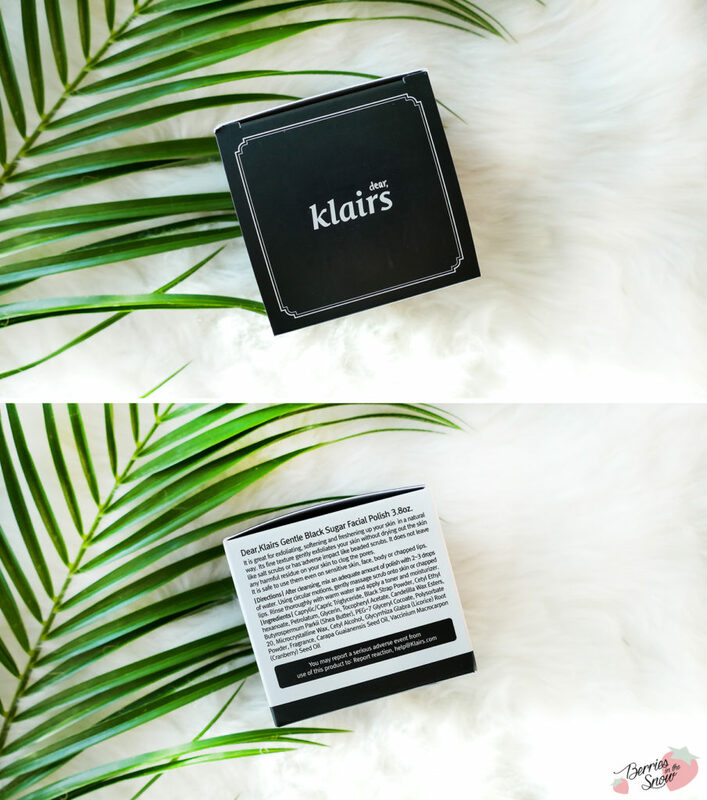 I also love how Klairs tries to make all their products not only cruelty-free, but also vegan. I wish that more brands would listen to their customer reviews like they did here! The scrub retails for 23,95 € from LoveMyCosmetics. Oh, and here is a little bonus for my lovely readers: You can get a discount of 10% using the coupon code “misslavenklairs” while shopping on LoveMyCosmetics!